Over the last few decades it has become something very usual to see calendars, normally used as publicity, with photos and images. 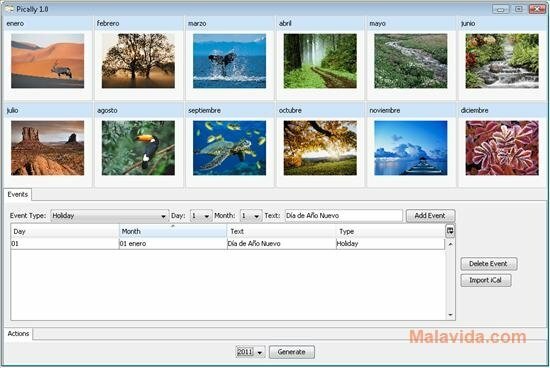 And if what you want to do is design your own calendar with photos, a very clear and at the same time simple option is Pically. 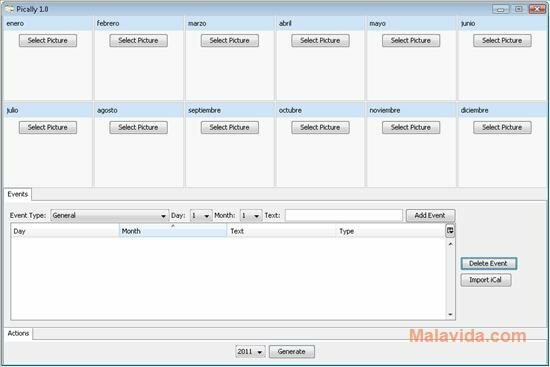 With Pically the creation of a calendar will only take a couple of minutes, because when the application is opened, it shows an interface, the top part of which is divided into small boxes that correspond with the months of the year. In each of these boxes it will be possible to add a photo. On the bottom of the interface you'll be able to add the events, with the possibility to add multiple events for each day of the year, and even import the data from iCal. Once the creation process is finished, Pically creates a PDF file with the calendar including the photos and the data. 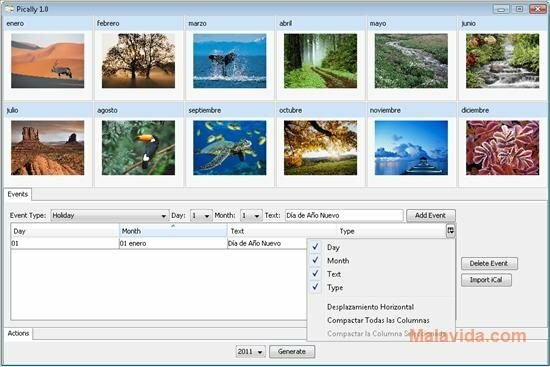 Therefore, if you want to create your calendars with images, you only have to download Pically to your computer.